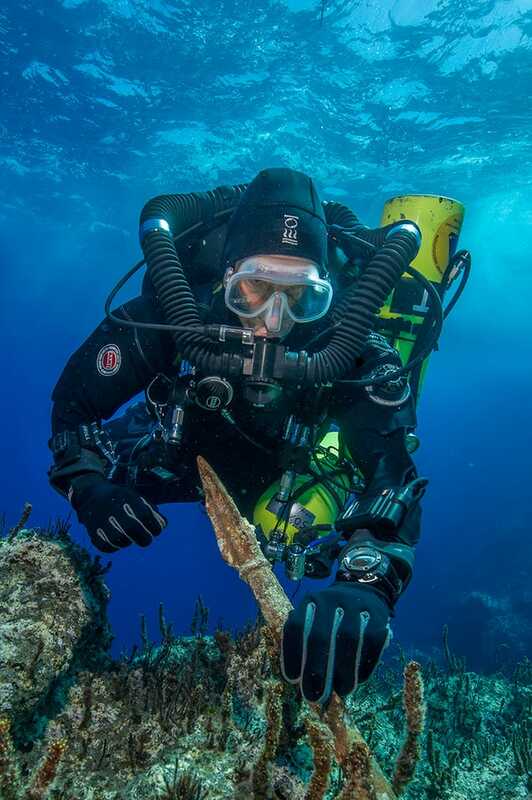 The international team of divers and archaeologists who are investigating the site of an ancient Greek ship that sank more than 2,000 years ago off the remote island of Antikythera have not been disappointed. Not only is the site bigger than they thought, it also contains a treasure trove of artifacts. First, an explanation for that awesome image you see above. 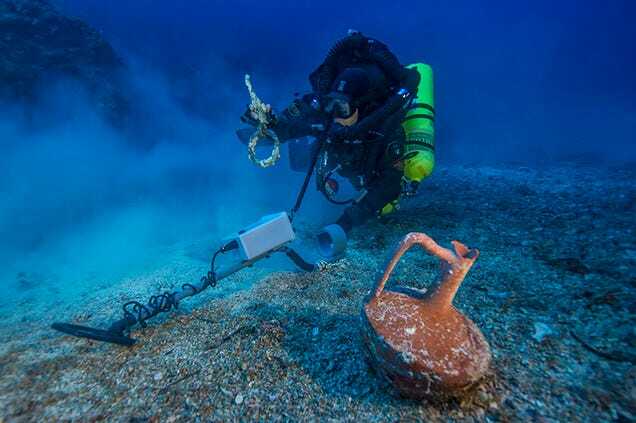 The ship, a luxury cargo vessel carrying Greek treasures from the coast of Asia Minor west to Rome, sank in bad water around 70 to 60 BC in some rather deep water. 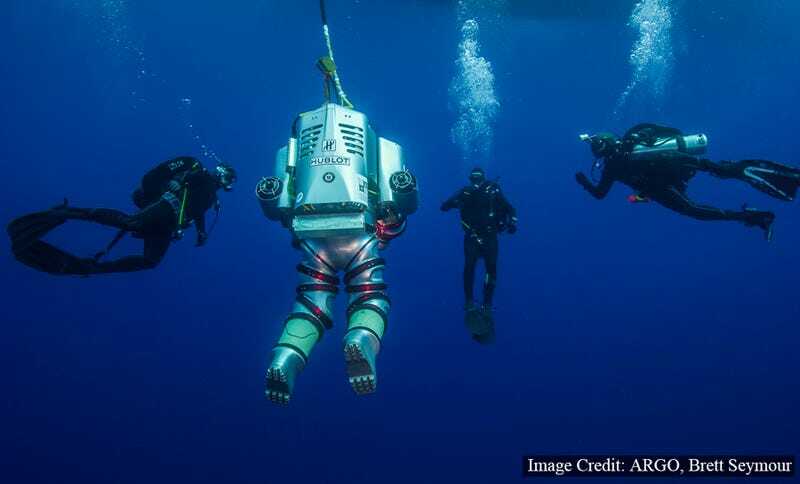 The ship is located at a depth unsafe for human divers — 55 meters (180 feet) — so the team at the Woods Hole Oceanographic Institution (WHOI) utilized a diving exosuit. It uses rebreather technology in which carbon dioxide is scrubbed from the exhaled air while oxygen is introduced and recirculated. This allowed the divers to explore the site for up to three hours at a time. 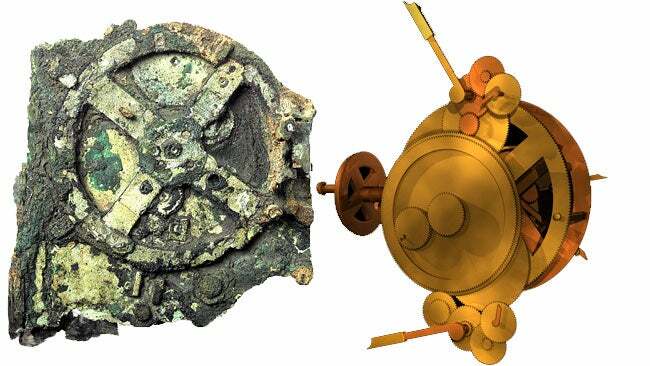 The Antikythera site is a treacherous one indeed. Back in 1900, when it was first discovered by sponge divers, the swimmers had to end their mission after one of the divers died of the bends and two were paralyzed. But not before they pulled up a spectacular haul of treasures, including bronze and marble statues, jewellery, furniture, luxury glassware, and the surprisingly complexAntikythera Mechanism. 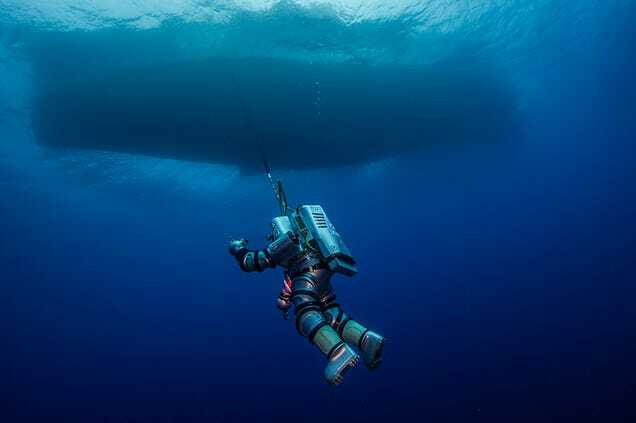 The latest expedition, called the Return to Antikythera, is an effort to revisit the site to see what else it might hold. And wow, is there a lot of stuff down there. Fascinatingly, it appears that much of the ship’s cargo is still preserved beneath the sediment. The archaeologists plan to return next year to excavate the site further and recover more of the ship’s cargo.